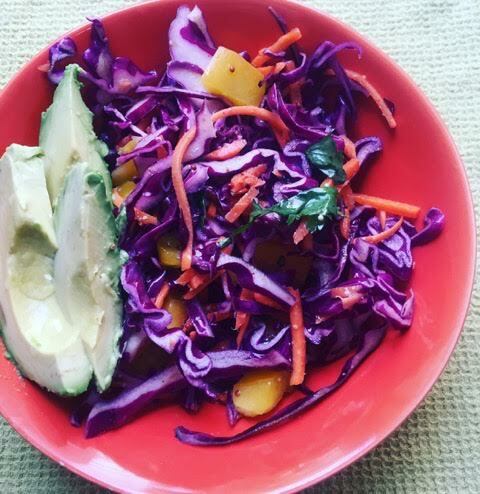 My friend Esi was the inspiration behind this brightly hued salad made with red cabbage. She serves it with pulled pork. The slaw can be made one day before serving. Toss the cabbage, carrots, bell pepper, and cilantro together in a large bowl. In a small bowl, whisk together the vinegar, oil, mustard, honey, orange juice, salt, and pepper. Drizzle the vinaigrette over the vegetables and toss to combine. Cover and refrigerate until ready to serve.